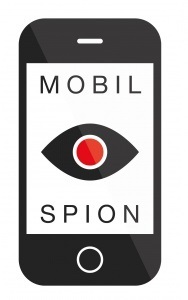 Mobil Spion - Experience a whole new software for monitoring android phone for three days free! MobilSpion application gives you access to the information they need to know. Track position text, photos, list of calls and other communications to the selected mobile phone. MobilŠpion is the only application of its kind on the market, with the ENG menu! Please register here to create a 3-day FREE trial account. MobilSpion must first physically loaded into the mobile phone that you want to monitor. Subsequently, the application starts to collect data to send it directly into your account. The application runs in phone completely hidden (has no icon). all calls made ​​are stored in .mp3 format and can be sent to the server either automatically or only upon request (saving traffic). Recordings can then can either be downloaded to a PC, or play directly in the web interface. Keep track not only of all sent and received SMS, but also those that have only been broken down. Of course, display text messages and links to the directory. Watch incoming, outgoing and missed calls, including the time and duration of implementation. The function is linked to the directory, so you see only tel. Number, but also the name under which the contact is saved in the directory. Clicking on the name of the contact can immediately receive all communications with that specific contact (calls and SMS). list of installed applications can help you in how to get a general idea. MobilSpion gives you remote access to all files on the target phone. You will be able to view and download files stored both in the phone's internal memory, and the memory card. In addition to downloading files that are already on your phone, you will have the opportunity to phone upload new files. 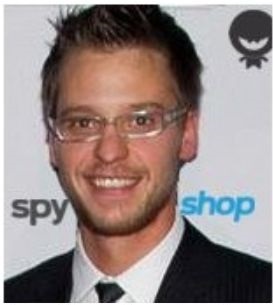 will see all the websites that have been visited by the phone. The data you will see clearly listed by date and number of visitation. Take control of contacts stored in the phone. In the directory you will see the names, phone numbers, e-mails, notes and saved addresses. MobilSpion is standard compatible with most phones that use the Android OS. To verify the functionality of your mobile phone, please contact us to create a 3-day trial license for free. The application can be operated remotely via a web interface. Data are sent into your account, where you can odkukoliv login using a web browser. Application must be physically loaded into the phone. Remote installation, through a kind of special SMS is unfortunately not possible to implement, as with all other listening applications. Installation is not very complicated, and will not take you more than 5 minutes. Please contact us to create a 3-day trial license for free. Or simply register on the login page MobilSpion.